A brilliant professor is being held in a top secret military base where he has to built the greatest war weapons known to mankind against his will. His creations are the perfect soldiers: strong, intelligent and replaceable. The gnawing at his conscience becomes too much for him and he decides to escape. But escaping won't be easy. His weapons are used against him to hold him at the base where he must continue his work day after day. Secretly he designs a new model. A better, faster, stronger model. To give his final creation a human touch, he gives her a human, female appearance. Her intelligence is great since the professor controls her directly unlike the preprogrammed intelligence of the enemy robots. She will have to help him find a way out, solving puzzles, passing dozens of mechanical guards and leading him to freedom. You are the professor and you must pre program the female robot in a maximum of five steps each time within limited distance from each other. Simply press play and watch. Your goal is to finish the level by solving all the puzzles with as few programmed steps as possible. Be prepared, for the most unique game you've ever played ! This is our first post regarding Execute, a game which has been in development for the last few months as a final project. 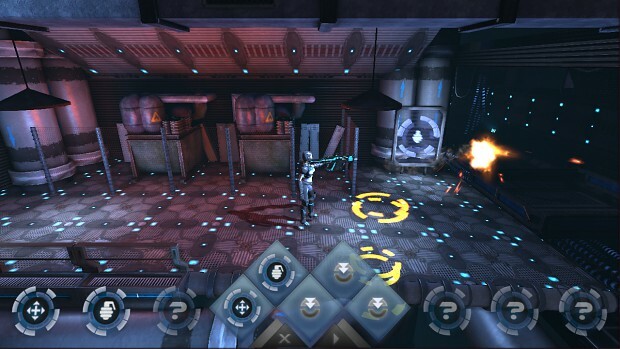 Execute is a blend of Action Adventure, Shooter and Puzzle game. The key feature of the game is that you can't control your character in the old-fashioned way. Your goal is to pre-program a maximum of five steps by simply selecting a type and selecting a location or object in the level. Press play and watch. The types you can program are Move To, Grenade Launcher, Fire Beam, Ice Beam, Switch and SECRET. 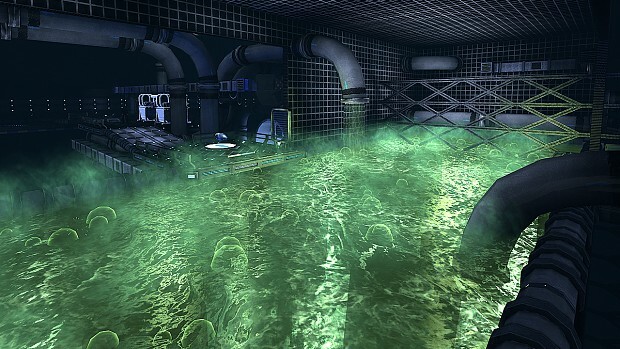 Each type has a certain purpose or effect which you must use to solve the puzzles and finish the level. Off course, there are restrictions. The steps have to be within a certain range of each other and you can't program more than five steps at once. But when a step is being played, you still can change the location of that step within a certain time restriction. 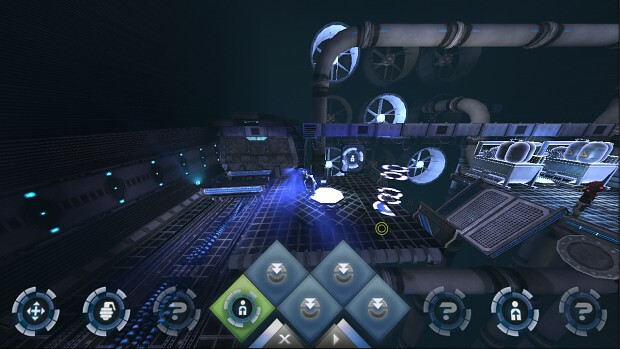 In the game you have to solve puzzles which require one or more types to be programmed at certain locations to proceed and reach the end of the level. To makes things more interesting, enemies are located in the level and will block your way or kill you. Be inventive and use the level against them or simply fire some grenades. The ultimate goal of the game is to finish the level with as few programmed steps as possible, post your high scores and beat your friends. We are currently in progress of debugging the game before we will release a test version. Our goal is to keep developing this game for fun and release from time to time an updated version with new levels. wow that's a pretty interesting gameplay mechanic. Tracking! Very interesting. I realy like your trailer, very well done.